Sherry Haynes is currently pursuing a PharmD degree and has experience in both the clinical and management sides of pharmacy. A urinary tract infection (UTI) is an infection in any part of the urinary tract. UTIs are the most occurring bacterial infections especially, in women of child-bearing age. About 60% of women will develop a UTI once in their lifetime with about one-fourth of them having recurrence within a year. It is usually caused by bacteria, most often due to E. coli bacteria that is responsible for causing 85-90% of the UTIs. Other bacteria such as Proteus species, Klebsiella species and Staphylococcus saprophyticus; viral and fungal infections may also cause UTI. UTI in the upper part of urinary tract is called an upper UTI. Similarly, an infection in lower part of the urinary tract is called lower UTI. Infection of bladder (cystitis) is thus a lower UTI and an infection involving kidney (pyelonephritis) is an upper UTI. The signs and symptoms of UTI are easily recognised in adults. The manufacturers of herbal products are not required to submit proof of safety and efficacy to US FDA before marketing. 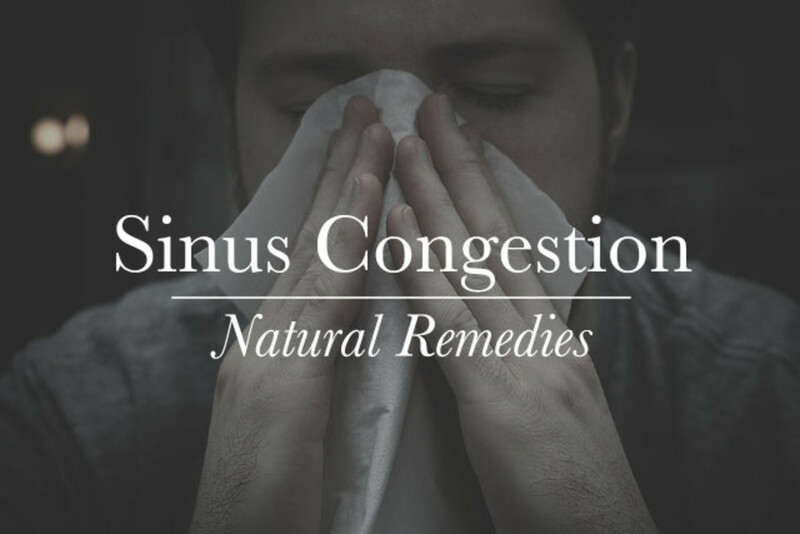 For this reason, the adverse effects associated with these remedies are largely unknown. Care should be taken while using any herb. Consult a doctor before taking any of these herbs if you are on birth control, hormone replacement therapy, fertility treatment or anything hormonal. Various herbs with healing properties for UTI are known. Some of these act by reducing the bacteria that cause UTI, some by boosting the immune system and some others by soothing the urinary bladder. However, none of these herbs is a substitute for antibiotics prescribed by your doctor. 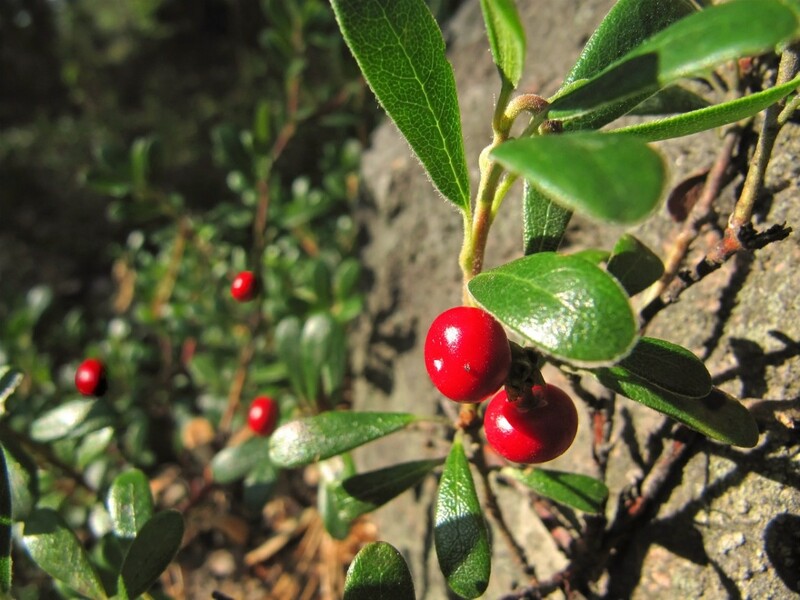 Uva ursi (Bearberry) leaf is one of the most commonly used herbs in modern herbal medicine. It is approved by the German Commission-E for the treatment of inflammatory conditions of the urinary tract. It is widely used in treatment of uncomplicated and recurrent UTI and when antibiotics are not deemed essential. Its anti-inflammatory activity is enhanced when used with anti-inflammatory medicines such as prednisone, dexamethasone or indomethacin. Some studies claim that the herb has a mild diuretic property as the components in the herb, ursolic acid and isoquercitrin promote urination. But others disagree. Arbutin, a chemical present in the leaf has antimicrobial activity. Once it gets absorbed from gastrointestinal tract, it is hydrolysed to hydroquinone in alkaline urine. There it exerts antiseptic and astringent effects. How to Use Uva Ursi? Leaves can be taken as a cold or hot infusion, decoction and tincture. Cold infusions are good for digestive system to handle and reduce nausea associated with its use. But, it is not recommended for immunocompromised people because of the potential of the herb to get contaminated with microbes. 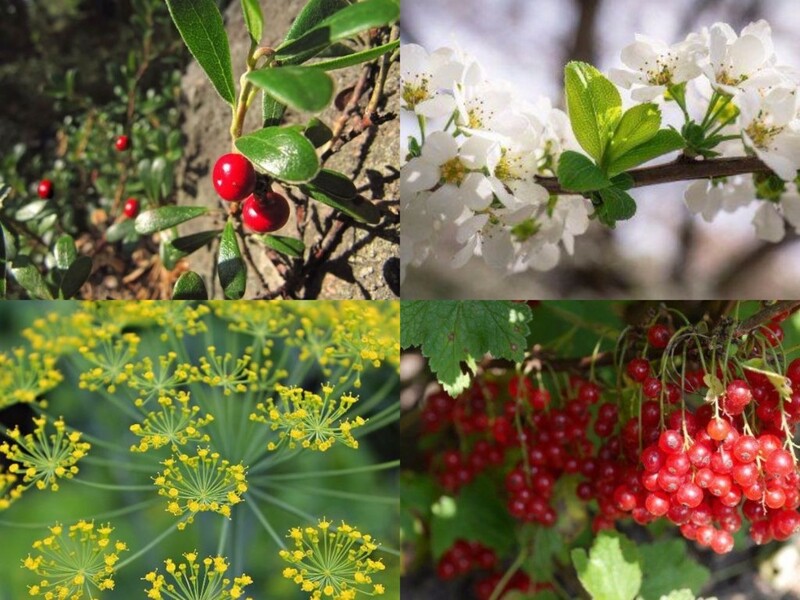 Bearberry can be combined with a urinary demulcent such as marshmallow root or corn silk or with diuretics such as dandelion leaf or birch leaf. However, in pregnancy diuretics should NOT be used. Use uva ursi for 5 days or less. 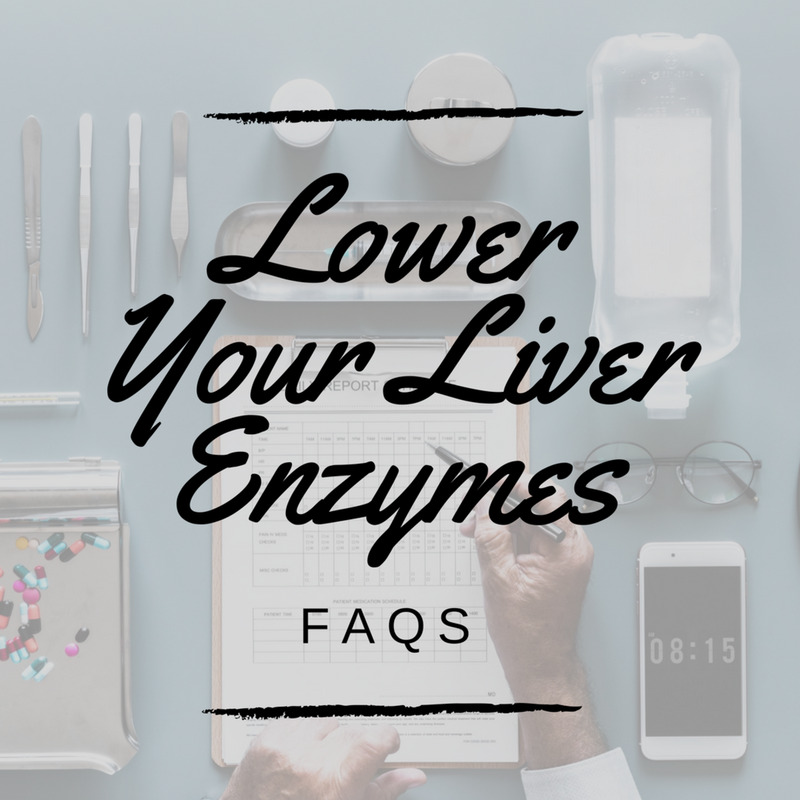 Long-term use can cause liver damage. Meadowsweet has been historically used in the treatment of common cold, migraines, stomach complaints, diarrhoea, urinary tract infection and other inflammatory conditions. It is recommended as one of the best digestive herbs for the treatment of ulcers and heartburn. 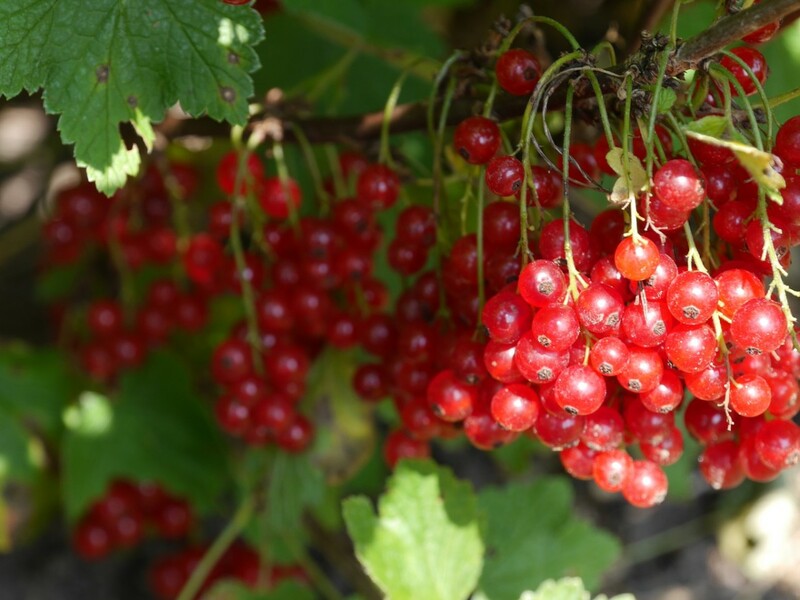 Besides having salicylate and plant heparin, meadow-sweet has high concentration of phenolics which are theoretically responsible for its antibacterial activity. Meaadowsweet is found to be active against E. coli bacteria. Add about 1-2 teaspoons dried flowers or 2-3 spoons of above ground parts of the herb to 150 ml boiling water. Steep for 10 minutes. Drink for several times a day. • Do not give meadowsweet to children below 2 years of age. • In children below 16 years who have a cold, flu or chicken pox, it is not recommended due to the risk of reye’s syndrome (a condition that can cause swelling in the brain, confusion and liver damage). • Avoid in people with known aspirin allergy or asthma hypersensitivity to meadowsweet or salicylates. • Ensure that only meadowsweet grown on land suitable for agriculture is consumed. 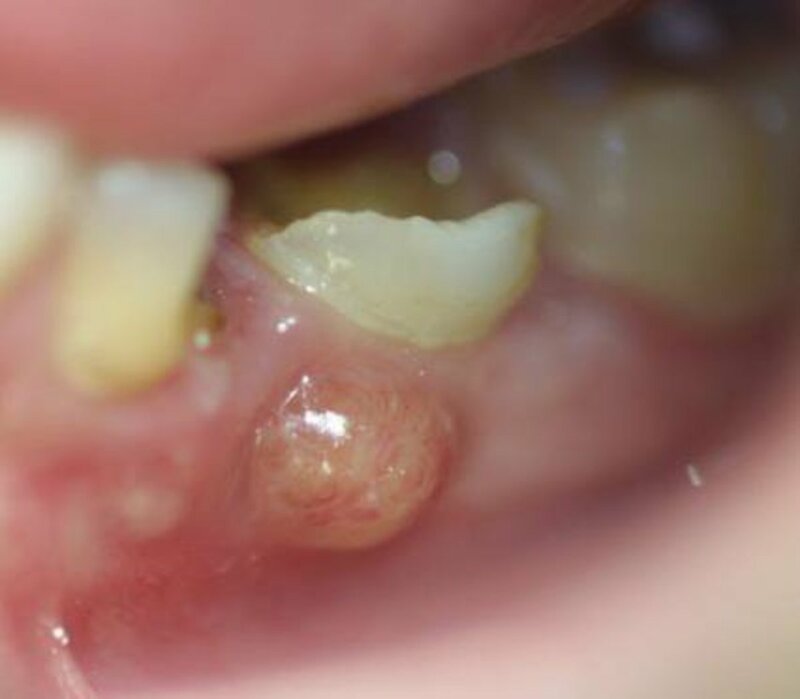 • Do not consume if you are on any of the following drugs: Acetaminophen (Tylenol), tetracycline, penicillin, aspirin, warfarin or heparin, antiplatelet drugs such as clopidogrel, NSAIDs such as ibuprofen and naproxen. • Also, do not use it if you are consuming herbs that increase risk of bleeding such as Garlic, Gingko biloba and saw palmetto. Dill is a strong stomach soother with a pleasant spicy aroma. Besides providing flavour to pickles, it acts as a natural preservative and is an infection fighter. 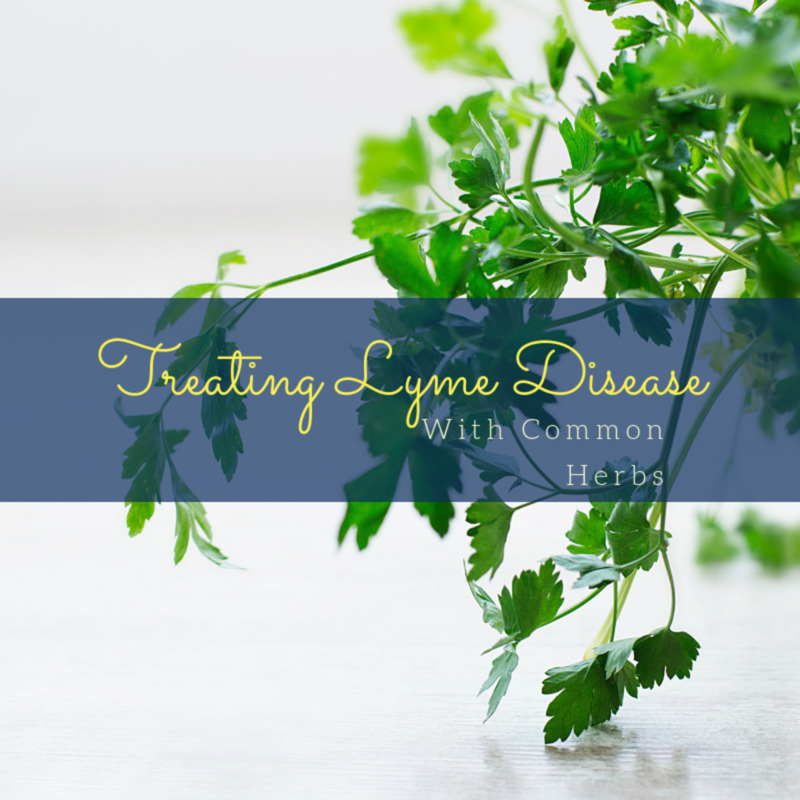 It has been in use as an herbal medicine since the dawn of Egyptian civilization for many good reasons. It can be consumed as a combination with other therapy for recurrent UTI. Dill retards the growth of E. coli, one of the most common causes of UTI. Add 1-2 teaspoons of dried powdered herbs per cup of boiling water. Steep for 10 minutes and strain. Drinking up to 3 cups a day is usually recommended. When using commercial preparations follow the directions on the package. 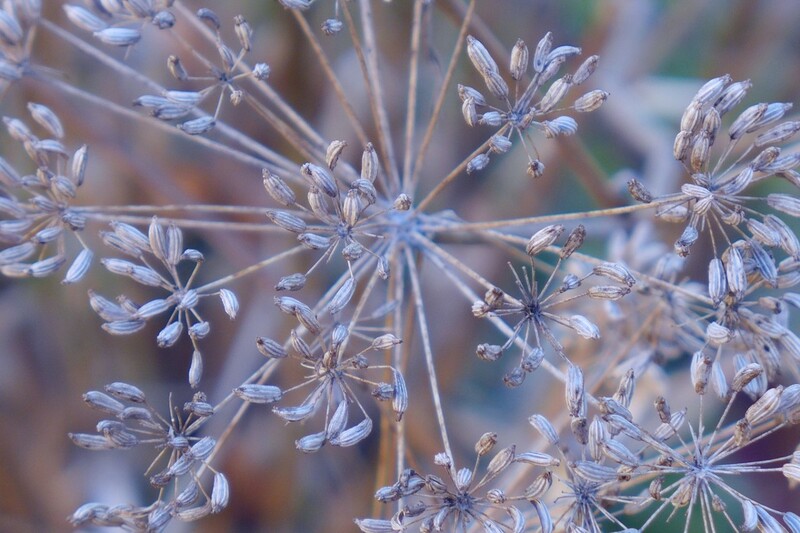 • Never ingest dill seed oil even as little as one teaspoon as it might be toxic. Seeds and leaves are generally nontoxic. • If you are sensitive to dill skin rash may develop. If any rash develops lower the dose or stop taking it. Cranberry has been in use since the mid-nineteenth century when German chemists first discovered that it produces bacteriostatic acid in the urine. By 1900 it was postulated in US that eating cranberries apparently acidified urine and prevented UTIs. But it seems that Cranberry does not lower pH consistently and it is not clear whether any reduction of urine that occurs has an antibacterial effect. There are 2 mechanisms proposed about the action of cranberry. Benzoic and quinic acids present in the cranberry break down and form hippuric acid which apparently has bacteriostatic activity. Components in the cranberries inhibit Escherichia coli from adhering to the epithelial cells of urinary tract. Also, studies suggest that it may have activity against other uropathogenic organisms and H. pylori, a bacteria that can cause gastric ulcers. Recommended dose of cranberry is 300 to 400 mg twice daily using a standardized product (to include 11% to 12% quinic acid per dose). Taking 8 to 16 oz 100% cranberry juice daily may also be useful. Safe for women with no other significant health problems. It is said that cranberry is not really effective in UTI treatment and its use is a mere myth. It is because there are no enough evidences to back the claim that cranberry is beneficial for UTI. In the year 2010, thirteen studies reported 38% less prevalence of UTI in women who used cranberry products compared to those who didn’t. Later, a major review in 2012 (Cochrane review) concluded the research saying that, “the current evidence does not support benefit of cranberries in preventing UTIs and it may be unacceptable to consume in the long-term". This was a huge study and that made the claim of the cranberries not being effective stronger to believe. Hence, it is not being recommended by the doctors any more. Cranberry has A-type pro-anthocynidins (PACs) that interferes with bacteria’s ability to adhere to the wall of the bladder, reducing the chances of infection. Cranberry capsule provides efficacy equals to 8 ounces of cranberry juice. A patient needs a lot of pure cranberries to prevent infection. This amount is not found in juices. Might be it was that strong in our grandparent’s day but it is definitely today. And cranberry juice helps rehydrating the body and it is possible that, this is how it benefits. Yet, it may be beneficial as is low in calories, high in antioxidants and vitamin C, which helps in boosting the immunity. So there is no harm in drinking the juice. 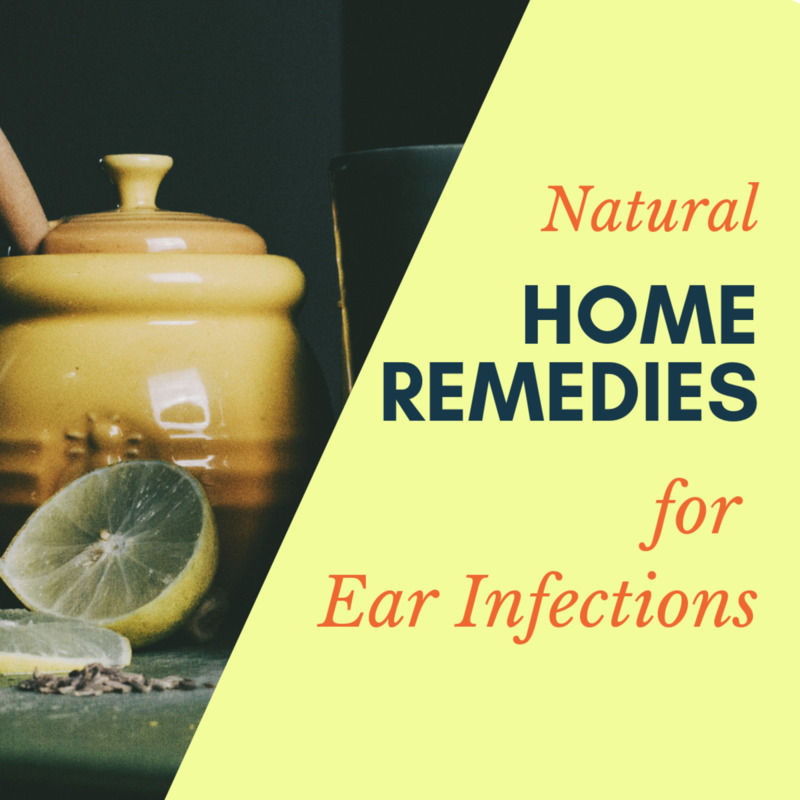 It can give hydration and help in flushing out infection. But, it is not a substitute for better treatment and spending hundreds of dollars on a product that is questionable can be costly. • It should not be taken by nephrolithiasis (kidney stones) patients. • It should be strictly avoided in the patients with an aspirin allergy or asthma because cranberry juice has high amounts of salicylic acid and may trigger an allergic reaction. • It is better to avoid cranberry use in ulcers, heartburn or acid indigestion. • It should be discontinued 15 days before surgery. • It may interact with warfarin. So, avoid it if you are on warfarin (an anticoagulant) tablets. Use Echinacea: It is an immune boosting herb that can be used for acute UTI and apparently for the prevention of chronic UTI. Though it is not used directly to treat UTI it can be used along with other treatments for overall immune system strengthening. It acts by increasing the white blood cells (WBCs) count protecting against bacteria and viruses. In UTIs white blood cells are lost in the urine, a condition called pyuria. Drink plenty of water: Water can help flush away bacteria that causes infection. General recommendation suggests drinking about 91 ounces of water every day for women and about 125 ounces for men including water from food. Vitamin supplements: Large amount of vitamin C makes urine more acidic which can inhibit the growth of bacteria in the urinary tract. Taking vitamin C during an active UTI is also suggested. Avoid irritants in diet: Caffeine, alcohol, spicy food, nicotine, carbonated drinks, artificial sweeteners can irritate the bladder making it harder to heal. Urinate often: This helps in getting rid of bacteria. Have yoghurt: It has natural antibiotics. Apply warm heating pad on the abdomen to relieve the symptoms of UTI. Probiotic: UTIs are often caused by bowel flora that is pathogenic in the urinary tract. Modifying bowel flora with normal flora can help in maintaining bacterial barrier. But it is also said that using probiotic may bring back the bad bacteria after some days causing recurrent UTI. 1. Wollschlaeger, B. (2003). The ABC Clinical Guide to Herbs. Austin, TX: USA. American Botanical Council. 2. Lubrication, C.E., (2010). Natural Standard Herb and Supplement Guide. Missouri, USA: Else vier Health Sciences, 2015. 3. Castleman, M.(2009). The New Healing Herbs: The Essential Guide to More Than 125 of Nature’s Most Potent Herbal Remedies. USA: Rodale. 4. Small E, Catling P.M., (1999). Canadian Medicinal Crops. Canada: NRC Research Press. 5. Jepson RG, Williams G, Craig JC. 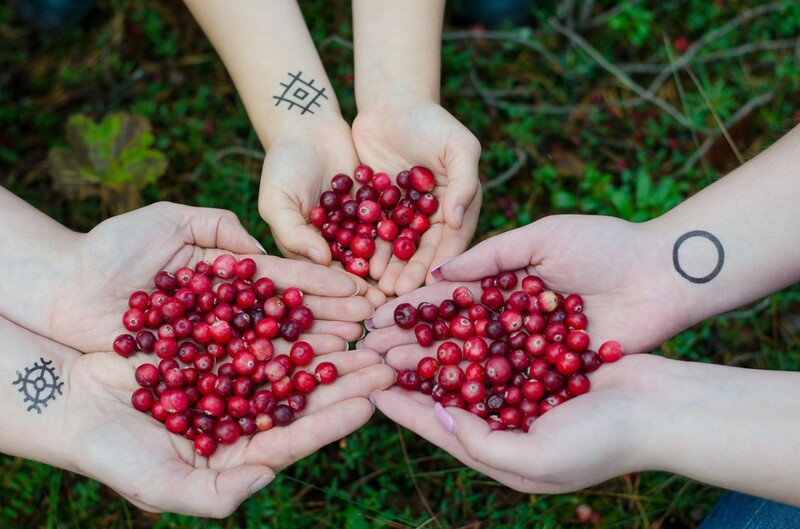 Cranberries for preventing urinary tract infections. Cochrane Database Syst Rev. 2012;10:CD001321. Thank you, RTalloni. I am glad you found it helpful. This excellent look at using herbs/supplements for UTIs is one of the best I've ever read. I learned new info and found the How to Use Cranberry section very helpful. I hope this post will be highlighted many times over because it's readability makes it really useful. Thanks much for sharing your knowledge! Thank you for reading my article. I appreciate it. The main point I aimed to highlight was when to not use these herbs as I see many people using herbs without consulting a doctor. That was really informative to read. Thankyou. I've learned a lot from reading your article.